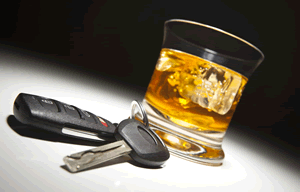 Can a DUI charge be reduced? - Answer from MyDuiAttorney. 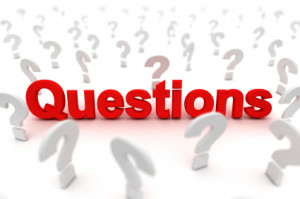 Home › Questions › Can a DUI charge be reduced? While getting arrested and charged with a DUI can be very unsettling, the thought of having to navigate the rest of the process beyond the first step can be very intimidating. Everything from the television, radio, social media, and neighbors hammer into our minds how horrible it is to have a DUI conviction, and it is understandable how scary all this may be, especially if this is your first offense. The penalties for an actual DUI conviction have long-term affects on everything from applying for jobs, securing residency, even keeping your driver's license. However, if you are facing this process for the first time, it is possible that there are other options for you to consider that will help to lessen the penalties you are facing in your DUI case. Knowing what these options are is the first step to getting your life back on track after a DUI arrest, and navigating the process of seeing if reducing the charge of DUI is even an option for you and your particular case. When seeking out options for your particular case with a DUI charge, you will want to first see if you can get it reduced or thrown out all together. You could claim that the officer who stopped you did not have probable cause, meaning he stopped you for a vehicle violation or other non DUI relatied offense and then began fishing for a DUI charge once speaking to you. You may also have cause to claim a number of different defenses, such as improper admininstration of sobriety testing, lack of certification or calibration of testing equipment. If you are unsuccessful in plea bargaining the charge down or thrown out entirely, you still have options! One of the great things about our court system, is that accidents are recognized and it is acknowledged that people make mistakes. It is in your best interest to be willing to attend Rehabilitation Programs which are accessable that offer classes about the dangers of drinking and driving, attending driving school, and applying yourself in a probation process. 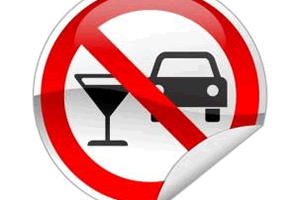 Once completed, you may be eligable for your recorded DUI to be removed or expunged. Also, by completing these programs, your character and lifestyle will be better established before the courts if you request them, because they show you are intentional to make things right and learn from your own mistakes. Another option for getting a first time DUI charge reduced or dropped is to appeal to the court, with the help of your own attorney, and show proof that you are indeed a good citizen who has no prior record, has not committed any criminal offense, or had numerous other traffic violations. By showing proof of your prior history of being a contributor to your community without any other offenses, you establish good character and rapor with the courts and that this current behavior is not a pattern, or one you intend to continue. It is possible that you will find favor with the courts and avoid steep fines, even to the point of possible probation instead of incarceration. Whether this is your first offense, or a repeated on, it is in your best interest to intentionally secure qualified and experienced legal representation with an attorney, as this will ensure you have the best possible options available in advice as well as outcome. As a qualified attorney, they will be able to assist you in taking all the steps necessary and available to you to reduce the severity of the DUI charges you may, or may not, be facing.